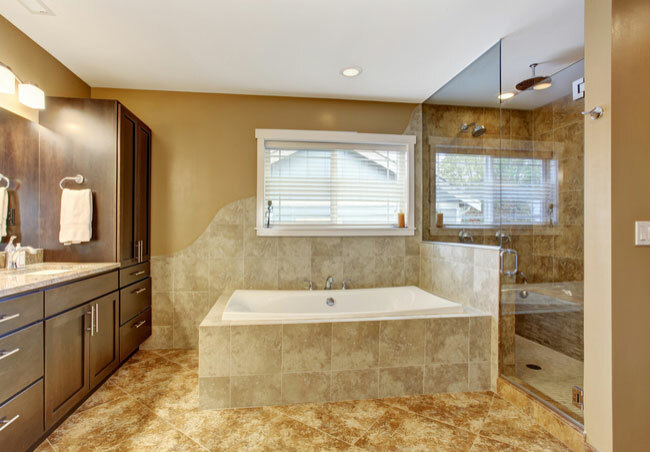 Upgrading your shower enclosure can seem daunting. There are plenty of decisions you have to make, but it doesn’t have to be an overwhelming process. If you stay organized and do your research, it should be seamless. Below are some of our favorite glass shower door options, plus we answer some frequently asked question about shower enclosure upgrades. How much do glass shower doors cost? This is the number one thing that people want to know about upgrading their shower enclosure. Glass shower doors can cost anywhere from $500 – $4,000. However, the average cost is around $1,200-1,800. There are budget-friendly shower door options that will instantly upgrade your bathroom, so just do your research to find one that works with your financial plan. What types of glass shower doors are there? Framed shower doors are a great option if you have a specific design motif in mind for your whole bathroom. Frames on the shower door can bring your whole look together. They integrate your shower enclosure into the rest of your design. On the other hand, if you are going for a modern and minimalist design, frameless shower doors are your best bet. These glass shower doors look seamless with your design, making your whole bathroom look larger and brighter. The perfect mix of the two designs above are the semi-framed shower doors. If you want to incorporate design into your frames, but want it to be a little more subtle, semi-frames are a good compromise. Now that you’ve decided which style you want, it’s time to think of what kind of shower door would work best. If space isn’t an issue, then swinging glass shower doors are classic. Otherwise known as pivot doors, these doors open out into your bathroom space. The only downside is that water can drip from the door to the floor when you open these. With smaller bathrooms and narrow shower stalls, bifold doors are the best option. Bifold doors open in on themselves so they save space and complement any design. Another space saver, if you have a larger shower stall, sliding doors work great. Also, these glass shower doors avoid water splashing around. Lastly, you’ll need to decide what design you want for your shower door. Do you want frosted glass to ensure privacy? 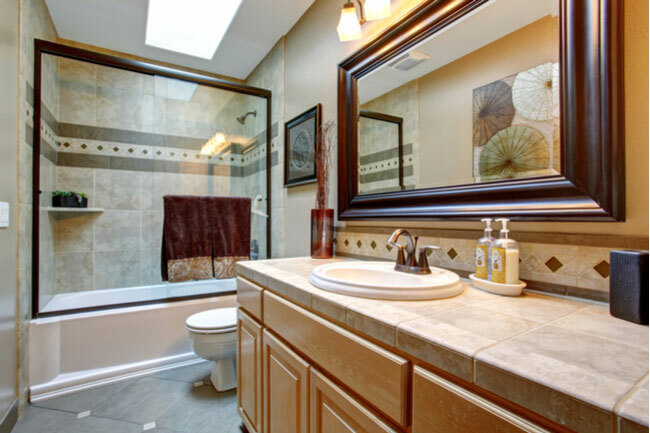 Or do you want clear glass to make your bathroom look larger and brighter? The choice will ultimately depend on your personal needs and preferences. 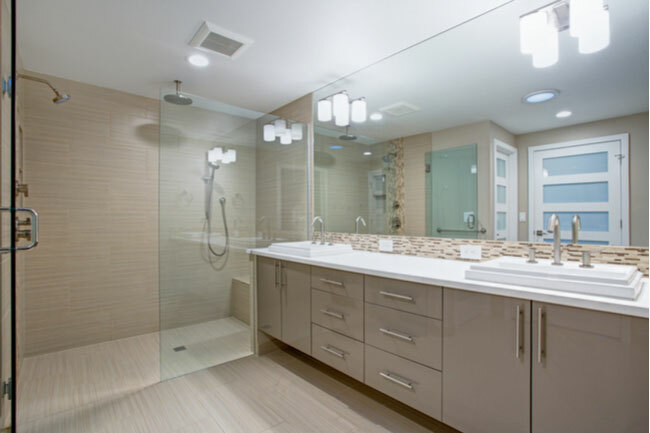 For sibling bathrooms or guest bathrooms, frosted glass may be the best option. However, for master bathrooms, clear glass might work better. 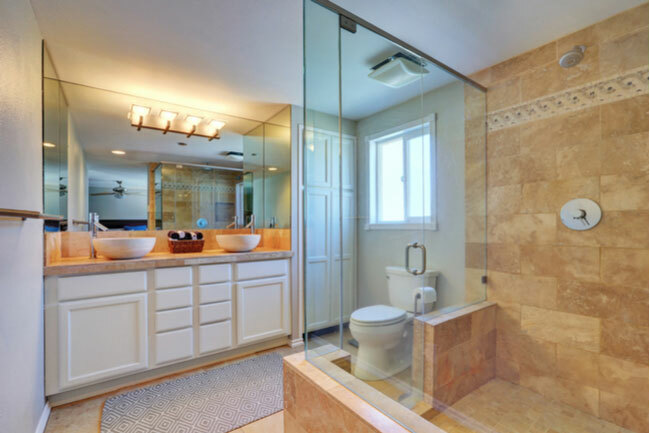 Overall, choosing your glass shower door should be a fun design process. There are glass shower door options for every style and need, so you just need to prioritize what you want in a shower enclosure.